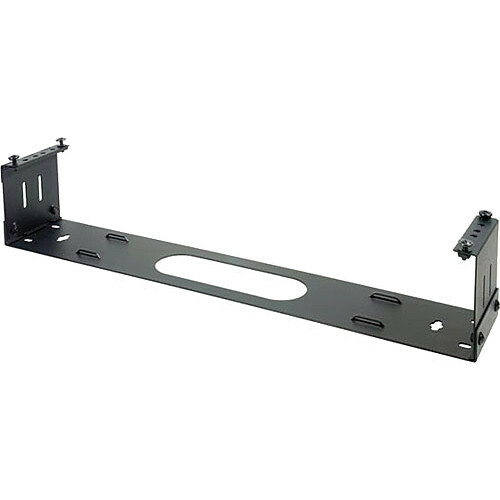 The Video Mount Products ER-HWB2 Hinged Wall Bracket (2 Space) offers easy access to the back of panels and can be mounted to a standard 19" (48.2cm) rack or directly to a wall. A static-resistant black powder coat finish makes the bracket resistant to electric current flow to an extent. The hinged bracket with 4" (101mm) depth can be opened from the left or right hand side.